Cancer Survival Rates : is England behind? A blog considering a recent study suggesting that survival rates for cancer in England are falling behind other countries, the potential reasons for this and what could be done to change this. I have been reading about a recent study published in the British Journal of Cancer, which suggests that survival rates for some cancers in England are behind survival rates for 5 other countries also studied – Australia, Canada, Denmark, Norway and Sweden. The study, which was carried out over a 15 year period, puts England behind in terms of overall survival rates for colon, breast, lung, ovarian, rectal and stomach cancers when compared to the other 5 countries. On the positive, the study reports that improvements have been made in the treatment and survival rates for both breast and lung cancers in England. The five year survival in respect of breast cancer has improved more in England than in the other 5 countries. Why are England’s figures poor? It is important to recognise the progress that is being made in England in terms of cancer care and treatment but this study does of course raise the question of why our survival rates remain lower than elsewhere in the world. The Study reported several suggestions for the difference in figures for England compared with other countries, including later diagnosis for an individual coupled with poorer access to treatment and less investment in health services. Others have suggested that the ‘postcode lottery’ in England, where diagnosis and treatment varies in different parts of the country, also plays a part in why England in lagging behind. This does not however mean that it is always the medical staff who are at fault for not recognising the symptoms or even that the Government are at fault for not investing more in the NHS for treatment. 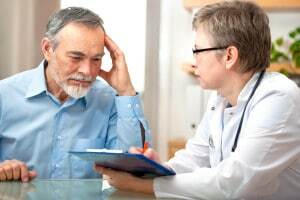 It has been suggested by Professor Gordon McVie at the European Institute of Oncology in Milan that actually a factor is possibly to do with an individuals attitude as there is still a widely held belief that cancer is fatal and “some people are still too frightened to get the diagnosis”. As clinical negligence solicitors we all too often see the effects of a delay in diagnosis or a misdiagnosis of cancer and how the affects of this can be devastating for an individual and their family including leading to more invasive treatment and a worse overall outcome. We would encourage anyone with health concerns or who notices any unusual symptoms to contact their GP as soon as possible as an early diagnosis can dramatically improve survival rates. We were also encouraged to read that the government have announced recently further investment into cancer care, which will hopefully continue the improvements already being made, including limiting delays in diagnosis and treatment and ensuring the same quality of treatment is available wherever needed in England.